I had been avoiding it, but this week I ordered a leather belt off eBay for the treadle lathe. It is the type that is used on treadle sewing machines. 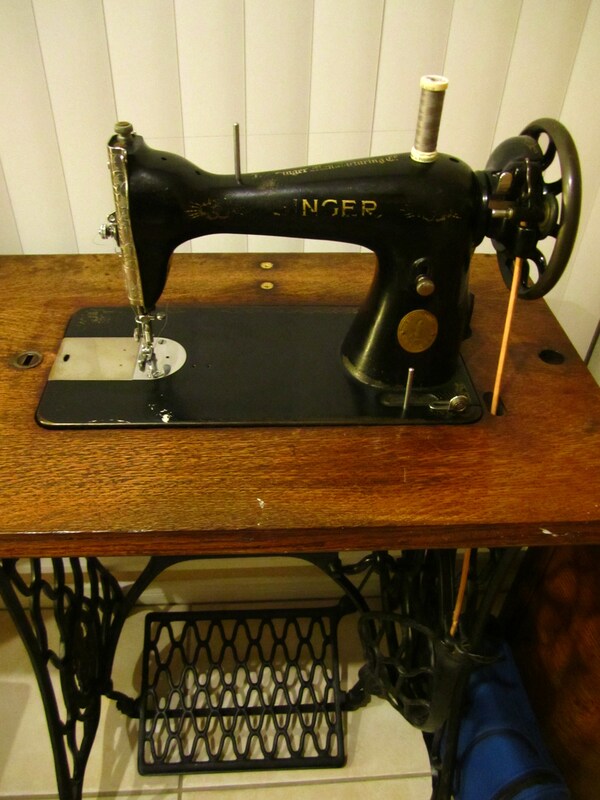 I recently restored an old Singer class 15 sewing machine to working condition and now have experience fitting the belts (check out the old singer sewing machine blog if you are interested in these beautiful machines). A hole was pierced into one end of the belt with a nail. The metal hook that came with the belt was too thick for the hole, so I had to widen it with an awl. I measured the belt on the lathe and cut it to size with a modeller’s knife. A hole was then nailed on the other end and the hook was tightened with some pliers. The belt has some stretch to it, so I imagine it may need to be cut shorter in the future, but no where near as often as the nylon rope. And the leather fits the style of the lathe much better than the bright white rope, too. This entry was posted in Treadle Lathe and tagged boring, leather belt, problem shooting, singer sewing machine. Bookmark the permalink. Hi there! I realize this was posted 7 years ago, but I’m hoping the details are still fresh in your mind. I’m building a similar treadle lathe, and I’m looking into leather drive belts for it. Was yours 3/16”, or the thicker 3/8” kind? If it’s the 3/16 size, can I ask how well that has held up? It held up very well, though I dismantled my machine a few years ago to make some room in the shop. Makes me sad thinking about it because it was truly a pleasure to use. Have fin with your build!